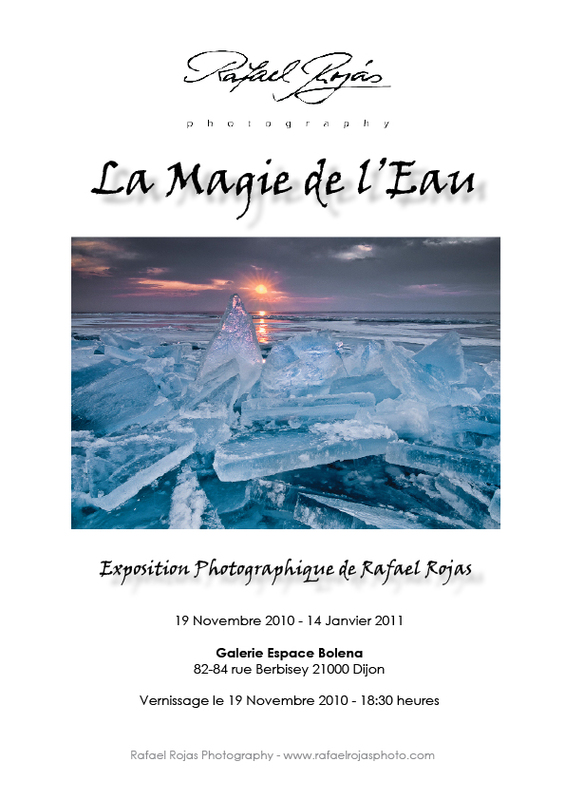 Last Wednesday we held the opening of our last photographic exhibition "La Magie de l'Eau" in the mighty Castle of Chillon. Nineteen of some of our best large format photographs are being exhibited until the 14th of April 2013 in the Salle des Armoiries of this renown monument, the most visited place in the whole Switzerland. The opening event was a huge success and we were really overwhelmed by the extremely positive reaction from the public. From here we would like to thank deeply the hundreds of people who attended the event. It was really touching for me to be able to talk with most of you and discuss about my motivations as an artist and I apologize if it was not possible to discuss with some of you, due to the limitations of time and the great affluence of public. We do hope we will have the chance in a future event. My thanks also go to the whole team of the Chillon castle, Jean Pierre Pastori, Marta dos Santos, Alexandra Ranzoni, Dacha Abbet and all the team of wardens. Thanks for allowing me to exhibit at this incredible place and for all their work to make this happen. I will exhibit my work as invited artist at the UBS bank branch of Nyon, Switzerland. Under the name of "Lumières Naturelles", this exhibition will comprise twelve of my best photograph, some of them in large format. The exhibition, free and open to the public, will be held from the next 1st February till the 13th April 2012. An opening event, where I will be present, will take place the 2nd of February Thursday, from 18:00 to 19:30. I will be opening the exhibition "La Magie de l'Eau" at Gallery Bolena, Dijon this next weekend, and then I will be signing the new book "Bouts de Planete - Visions of Earth" at the nature photography festival of Montier-en-Der. 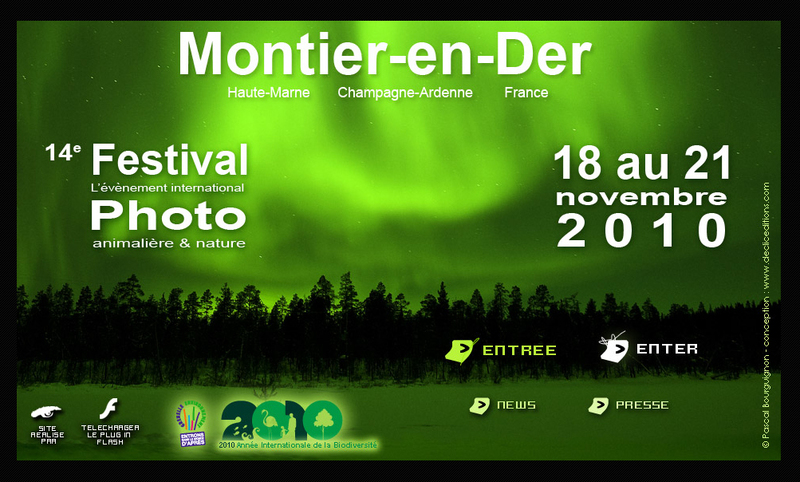 This festival, with 14 years under its belt, has become the most important nature photography festival in France. With thousands of visitors and some of the best international nature photographers, it is real must for those who display a certain interest in nature photography. If you happen to be around, look for us at the library stand, we would be really happy to deliver you a copy of our book specialy signed and dedicated.